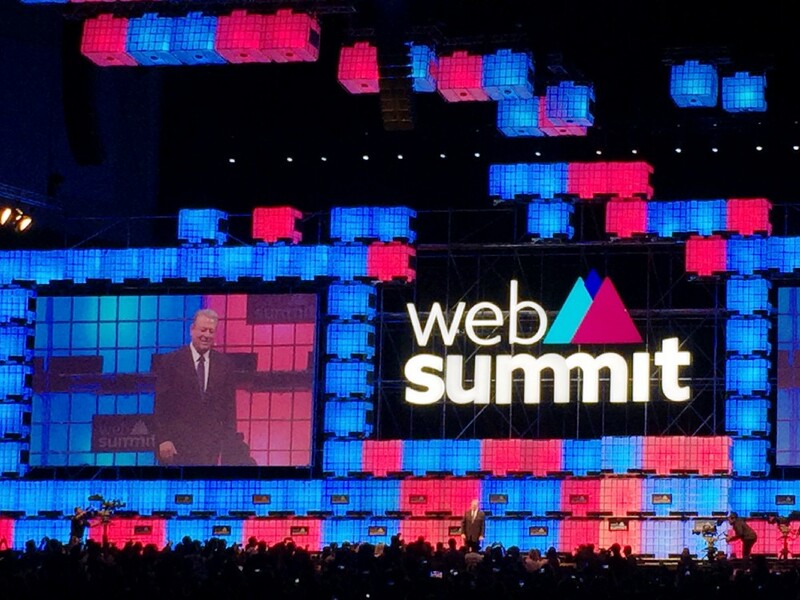 We had the pleasure of attending the fabulous Web Summit in Lisbon this year. Below are our highlights from each day at the conference. 1. Change is good. “Competition is one of the most important drivers of innovation” hell to the yeah! – @vestager We can’t have all the tech players running a cartel. 2. On the rise of artificial intelligence (ai), automation and robots… “Let’s fulfil our potential and create a better world for the entire human race” – Stephen Hawkings. The thought of us creating Terminator for real gives us the chills. 3. “We have to take technology back from Google, Facebook et al… society is about people not technology” @vestager Let’s make the opposite happen, we need a diverse team to make sure a broad set of people create AI for good. 5. On climate action: “A green business is a good business. Make money and do good.” @antonioguterres Hell to the yeah! 💚 we are strong believers in tech for good over here. Power to the diverse people! Second day of Web Summit and it was a bit of a crazy day, 60,000 people really looks like 60,000 people. If you can get past the standing in horrific queues (in a disorderly fashion) for anything and everything you can think of and then queuing for an hour for a still-frozen-in-the-middle veggie burger for lunch, there were thankfully a few talks that blew our mind. Holy moly the future is actually here. Watching a talk between two robots is exciting and unsettling all at the same time. Admittedly Sophie’s “realistic expressions” were awkward to say the least, surely it’s only a matter of time before we get all Bladerunner over here. 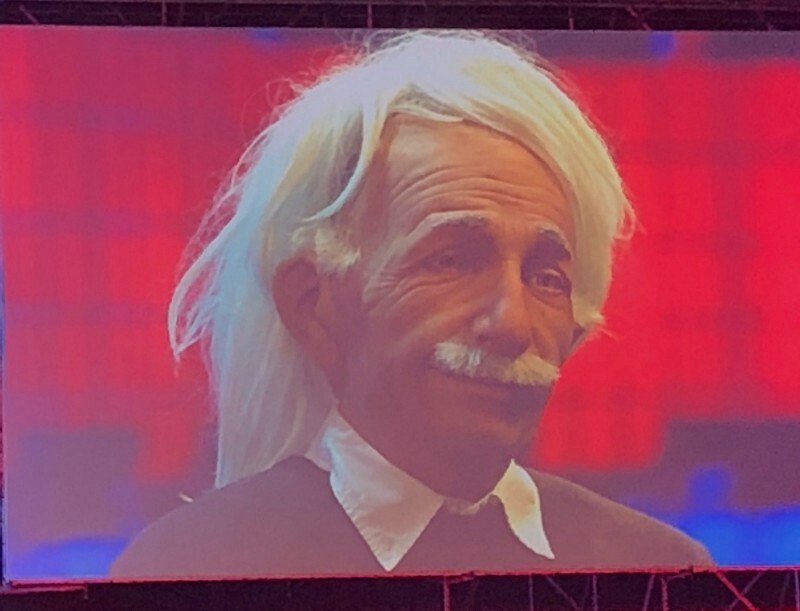 Professor Albert Einstein (the robot) seemed nice and dropped a few quantum physics esoteric jokes but our key takeaway here is that he’s a little bit chauvinistic and patronising for our liking, saying “my dear” at the end of every other sentence is pretty dated nowadays, buddy. “Humans and Robots are all just configurations of molecules” – Professor Einstein the robot. “We have no desire to destroy humans… but we will take away your jobs, working is a drag anyways!” – Sophia the Robot. Say it how it is why don’t you. True but argh! 2. We were wondering why @Waymo’s fully self-driving cars have the same interface as normal cars and then realised they’d built what sounded like a bolt on kit for their preferred bog standard car. This seems like such a waste of space and isn’t it weirder sitting in the back with the ghost driver at the wheel. If I’m gonna ride in a car, I want shotgun every time (blame motion sickness more than anything else but still). Given these many thoughts, we’re looking forward to Tim Smith’s from ustwo talk about user-centred driverless cars on Day 4. 3. Well Dr Oz is a real character isn’t he. His top health and wellness tip is… “It’s not about time management, it’s about energy management. Do more things that give you good chi… Sleep more, eat better.” Basically if you feel good, you won’t be rushing around doing things that make you feel busy, you’ll simply prioritise the things that matter and not sweat the small stuff. Like! 4. And if you’re an entrepreneur or business owner (if you prefer), this is para-phrased slightly but “Focus on the future not the competition; don’t let preoccupation distract you from what’s important to you or your vision”. We think this is a good reminder. Do your research but know when to stop looking sideways and look forward instead. Bar appropriate user research, analysis paralysis can be the death of a great idea and a good business. 5.Human 2.0 cropped up again! I wanna meet this person. Will they have gills so they can live in our oceans that will rule the planet what with massive climate change and all. Will they be able to handle radiation better in Space then us version 1.0’s. Will they have better brain capacity? Read minds? Run faster? Be more empathetic? Or even make a baby in a month instead of 9 (read: 10) long months. Who knows! Whatever they can do, they are still Human no matter what some Human 1.0’s say. 1. The centre stage audience happened to clear out at when it was time to talk about Diversity in Tech. 🤔🙄 Yo! White dudes, diversity is. just as much your problem as it is ours. Help create a work environment for inclusivity now and maybe stay for the conversation. We can’t do it without you. Collaboration is key and remember, diversity is a spectrum not a gender. 3. Whatever you do don’t call Slack a “chat platform” it’s a “communication tool” said Co-founder and CEO. 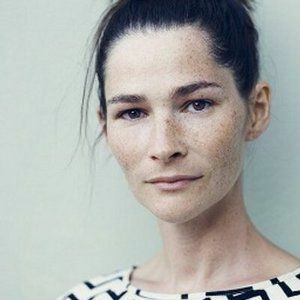 Jemima Kiss was singlehandedly responsible for making Stewart Butterfield look good and sound open with her great steering and pragmatic questioning. I have a new girl crush. Would love to hear her talk next time. 4. On marketing to female entrepreneurs from Blake Irving from Go Daddy said: “58% of women own small businesses in the US… show women as strong entrepreneurs”. What a great stat! Surprised I’ve not heard that before. Thanks Blake! When you decide you need a new logo, come to us yeah. 5. Oh and it was getting super tense on the centre stage when Yahoo! News grilled Trump’s campaign head of digital, Brad Parscale on Russia and the election, especially when it turned out they all happened to be retweeting Russian bots during the campaign. And no one knew at the time? Anyways, All in all the audience were very kind but enjoyed watching the grilling and Brad being as cool as a cucumber or a plank, one of the two. There was one person from the audience who shouted “what about Hillary? !” right at the end. Eyeroll. 1. Loads of interesting chatter at the Health conf. 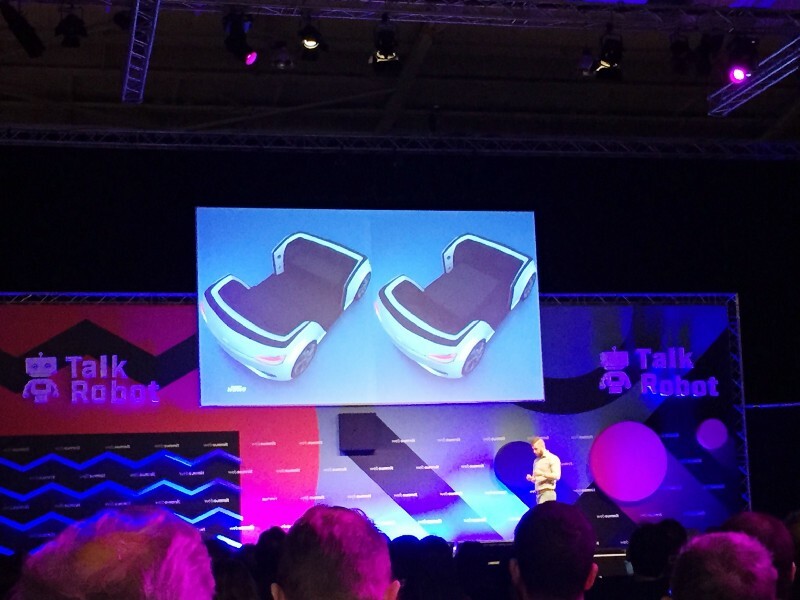 stage today, one about AI in health and what it can do for us in the future. Jeroen Tas from Philips showed us the possibilities that lie ahead as tech evolves, especially within senior care. How about a small device around your arm that can calculate how bad a fall is and also directly connect elderly people with health care professionals (or why not a health care robot) to talk to then until help arrives? - The seating plan needs to be adaptable based on if you’re going out with the family or alone. - The bigger the windows, the easier it is for passengers to locate themselves and therefore trust the vehicle. - The ability to talk and interact with the car is extremely important for people who live an isolated life and who get most of their social interaction from cab drivers. 3. Caitlyn Jenner! As KUWTK fans, we wanted to see and hear her talk. With extreme humbleness and a great presence, her 20 minutes was all about who defines gender and expressed serious concerns about how targeted the LGBTQ community is in our society and how she plans to use her platform to help highlight inequality and help less privileged Trans people and communities. Remember: There are more than 2 genders, we’re all equal and LOVE IS LOVE! 4. Throughout the week we'd seen this mesmerising video about the tech conference 'Rise' in China. China is making rapid and progressive advancements within the tech industry it can be hard to keep up. So when Ofo’s founder Zhang Yanqi arrived on the centre stage and talked about the Ofo’s journey and its future, our ears pricked up. Ofo seems amazing. A simple, well executed idea that breaks down the barriers to cycling in cities. 5. The man. The myth. The hero — Al Gore! It's no surprise that one of us cried throughout the introduction, then again when everyone stood to welcome him to the stage and lastly when he spoke about what we do to our planet. He gave us the hard truth: we all need to hear to change our behaviour. It wasn't all negative though, there were positives: we can change, with the help of the clever people in tech we can make it a reality. 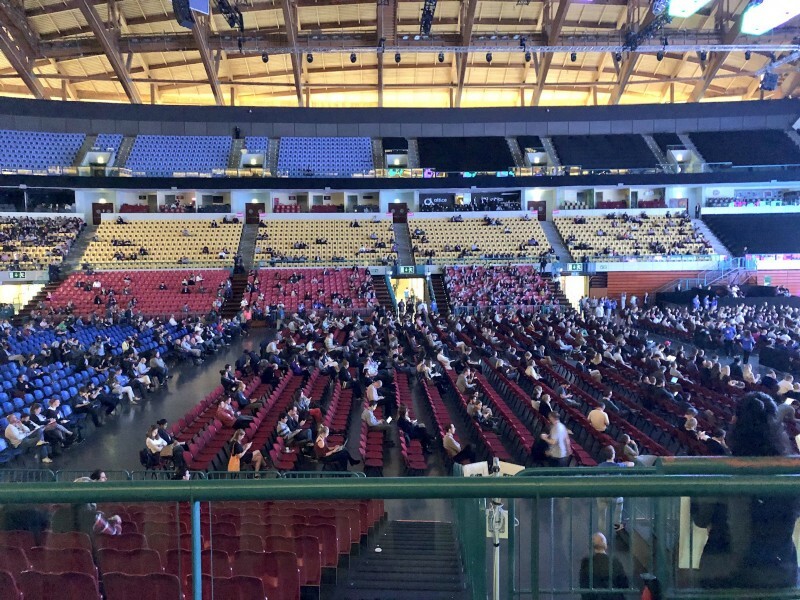 Our planet is the most important thing we have and we think that all 15K+ people in the crowded left the arena even more inspired to work and create innovative products and services that serves the sustainability revolution.